Powered by 425hp Cummins. The boat has a restroom aboard and includes all fishing equipment (Shimano and Penn International tackle, GPS, fishfinder). 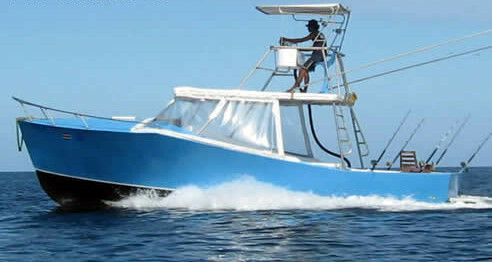 Captain: Arnaldo speaks good english and has 10 years experience as sportfisherman in Tamarindo and Papagayo. The price below is for a max of 4 people; however, the boat can accomodate up to 6 people.